This saddle is made in our saddle shop. The forks on the saddle are made of 1-3/4 inch Oregon oak. Sideboards are pine wood because of its light weight and resistance to cracking. 1-1/4 inch strap slots are provided for rigging. The tree bars measure 21 inches. No screws are used on the tree at all. We use 12-14 oz. oiled harness leather. 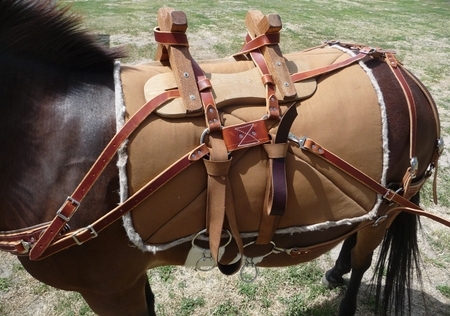 The saddle has a fully lined 2 � inch britchen and breast collar. We use roller buckles instead of Conway buckles and put 4 buckle covers on the straps that are attached to the britchen. The Pack Saddle comes standard with nickel plated hardware (upon request stainless steel or brass hardware can be substituted at extra cost). The Pack Saddle comes with a Pack Cinch at no extra cost! Please specify the size when you order. 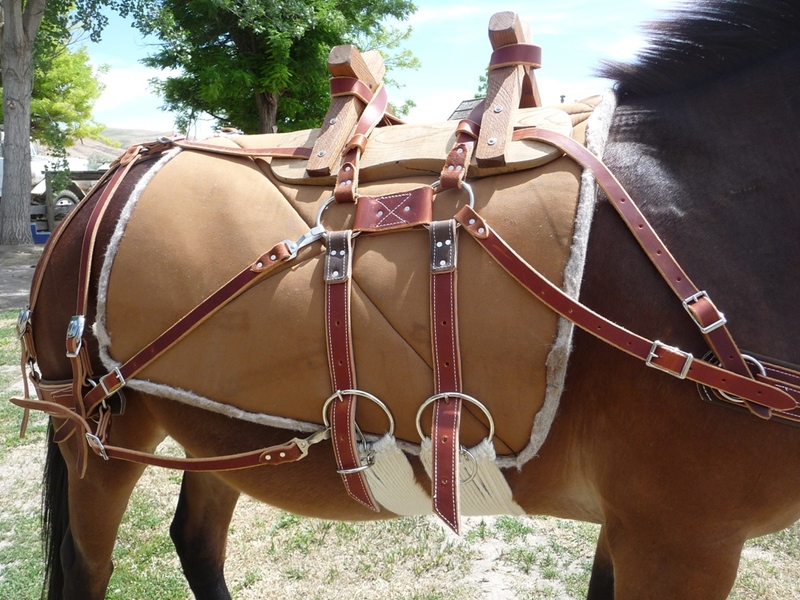 We do custom build Sawbuck Pack Saddles in a burro, donkey and miniature size. Call us for more information.